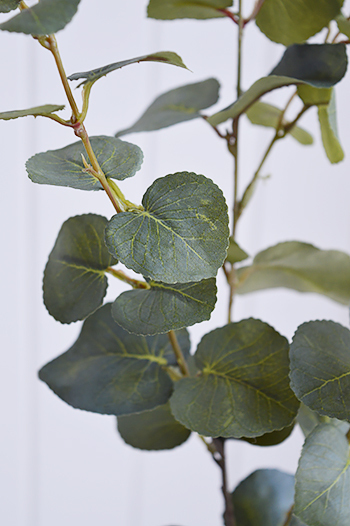 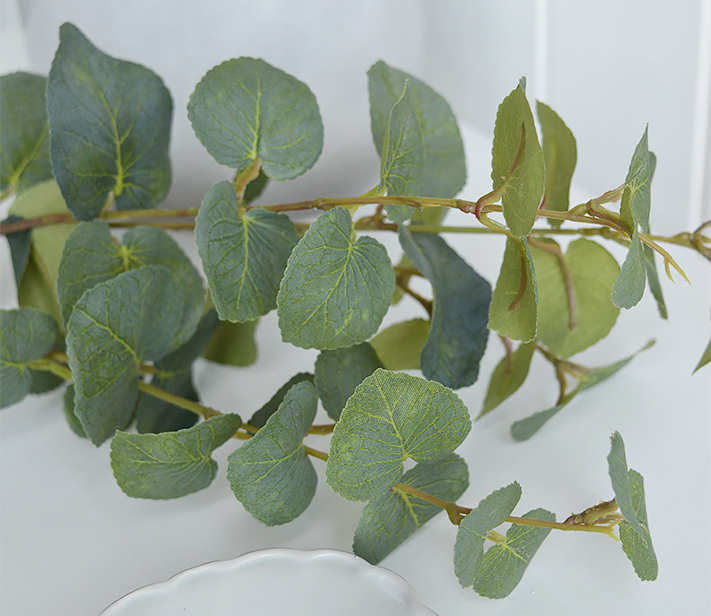 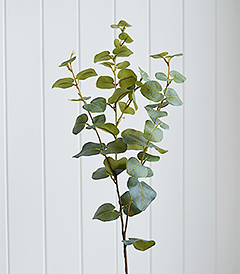 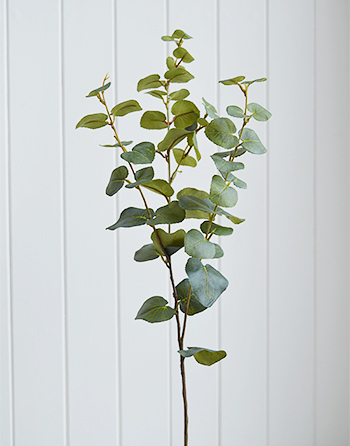 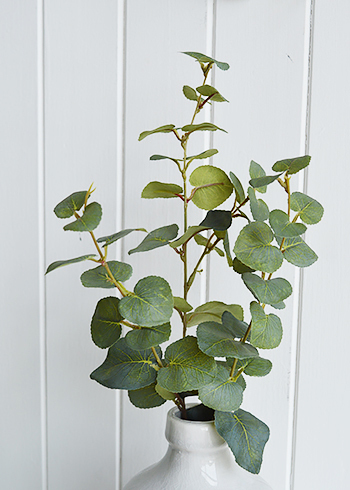 A very realistic, natural and beautiful looking Eucalyptus spray for adding greenery to your home. 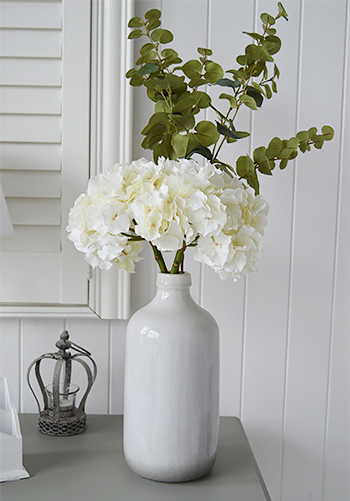 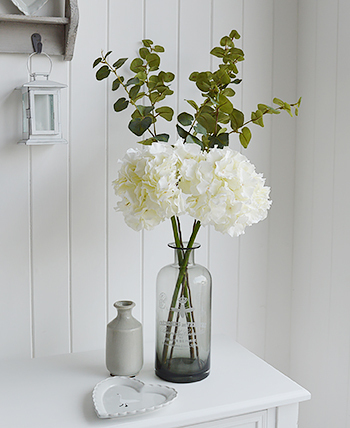 Looks perfect simply on its own in a ceramic vase or along with our white artificial Hydrangea flowers. 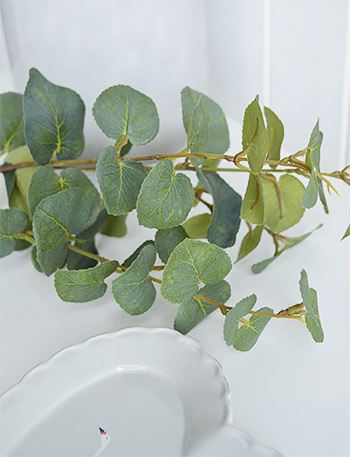 The picture of the Eucalyptus shown is one stem, but can be cut to size.